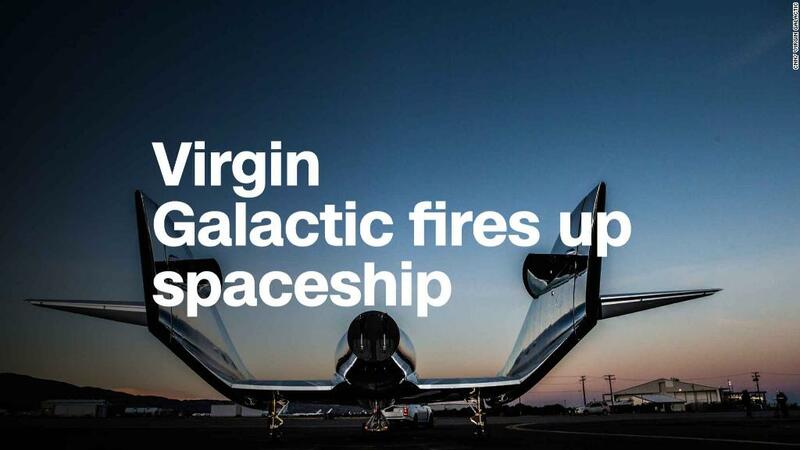 Richard Branson's spaceship fired up its rocket engine Thursday, marking the first powered test flight for the company since a fatal crash left it hamstrung in 2014. Virgin Galactic said in tweets that the pilots brought the spaceship to speeds faster than the speed of sound before gliding to a landing in the Mojave Desert. It conducted a "planned partial duration burn," which means the engine intentionally didn't fire as long as it will on full missions. The company faced a major setback in 2014 when a Virgin Galactic spaceship exploded over California during a test flight, killing one of the craft's co-pilots. Virgin Galactic has since eased back into testing by conducting gliding test flights of its new spaceship, named VSS Unity. The gliding test flights allowed the spaceship to drift back to the ground after detaching from the mothership rather than powering its engine so it could climb farther away from Earth. Thursday marked the first time the VSS Unity spaceship has flown with its rocket motor ablaze. Virgin Galactic's VSS Unity spaceship is lifted into the air by a mothership, called VMS Eve. The mothership took off around 8 am PT and flew to about 46,500 feet over California's Sierra Nevada Mountains before releasing the Unity spaceship. After a brief free fall, Unity's rocket motor then roared to life for a 30-second burn, vaulting the spaceship to Mach 1.87, or nearly 1,500 miles per hour, and up to a max altitude of 84,000 feet. That's not nearly as high as the Karman line, which is generally considered the beginning of outer space and lies 62 miles or 327,000 feet above Earth's surface. 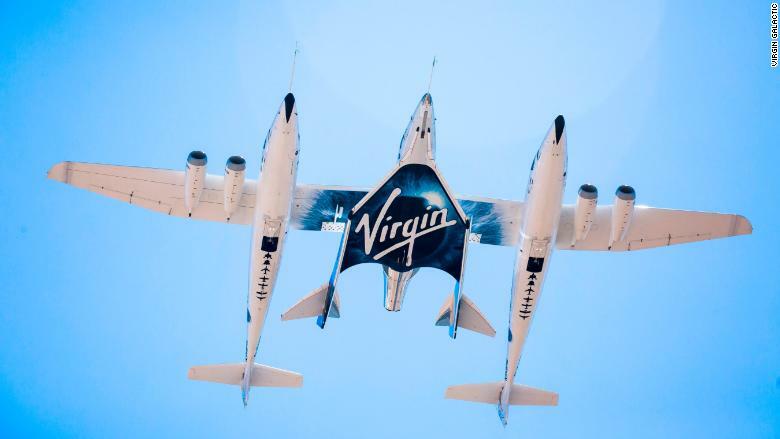 After Thursday's test flight, Branson declared his space tourism company is "back on track." "Data review to come, then on to the next flight," he said in a tweet. "Space feels tantalisingly close now." Branson said in February that he would be "very disappointed" if Virigin Galactic does not launch into space within the next few months. The billionaire Virgin Group CEO founded Virgin Galactic in 2004. Like fellow tech giants Elon Musk and Jeff Bezos, Branson has long been a fan of spaceflight. He was inspired by the Ansari XPrize competition that was the catalyst for the very first privately funded manned trip to space, flown in a reusable spacecraft called SpaceShipOne. Over the course of a decade, Virgin Galactic built and tested the first version of its SpaceShipTwo, called VSS Enterprise, before the 2014 tragedy that killed co-pilot Michael Alsbury and injured co-pilot Peter Siebold. The company has been recuperating ever since. Its new SpaceShipTwo, VSS Unity, made its first gliding test flight in 2016. Virgin Galactic sells tickets — which cost about $250,000 each — aboard its spaceship. The firm says people in more than 50 countries whose ages range from teens to 90s have already put up the cash. They'll need to complete just three days of training before flying, according to Virgin Galactic's website. —CNN's Rachel Crane contributed to this report.